Christmas is coming, and The Branding Source presents an early gift in the form of the 2014 year in review roundup. It consists of over 100 new logos introduced during the year, selected mostly based on the significance of the client or the overall quality of the work. The links included should provide you with enough reading to last the rest of the year. Nelonen is one of the most popular TV channels in Finland, launched in 1997 as the country's second commercial TV network. Last week, on December 16, it introduced a new logo, designed by London-based Proud Creative. The new logo is ribbon that forms the number 4 (Nelonen is Finnish for "Channel 4"), usually in blue hues but the colour changes depending on content. It launched with a new slogan, Katso mistä puhut, which roughly translates as "See what you're talking about". Here's the logo round-up for November, a commonly slow month when it comes to rebrands. But that didn't stop several interesting projects from launching, including new logos for Pizza Hut and 7Up. Fazer Alku is a Finnish brand for porridge and bread from bakery and confectionery company Fazer. Earlier this year, the brand introduced several new variants of porridge, as well as a new look, created by Dragon Rouge. The new packaging establishes Alku as a brand for breakfast products, highlighting porridge as a healthy and tasty meal. The Football Association of Norway (Norges fotballforbund, NFF) governs football in Norway and organises its national teams. On Friday, it unveiled a new visual identity, developed with Scandinavian Design Group (SDG) and Norsk Designråd. It includes both a new association logo and a crest for the national team. The monogram is a modernised version of its predecessor, while the new crest features the national flag and two lions. The accompanying press release stresses that these a both symbols of national pride, as well a more multicultural Norway. The monogram reportedly symbolises integration, which is a stated core value of the NFF. There will also be a new system for the regional associations that make up the NFF. They will be given new logos based on the main NFF mark. SDG are stressing that the logo and crest are just small parts of a more cohesive identity, so you are advised to defer judgement until more is revealed. The National Museum of Finland an historical museum in Helsinki, Finland, displaying archaeological finds and historical artefacts in its exhibitions. Last month, it introduced a new visual identity, developed by Helsinki-based Agency Leroy. According to Leroy, the new logo is timeless and durable. It contains the museum's initials in both Finnish and Swedish (Kansallismuseo and Nationalmuseum) and is part of a cohesive visual renewal, more of which will be revealed later on. It will be used to unite the eleven different museums that are part of the National Museum under a common symbol. The Branding Source is a supporting partner for the European edition of next year's Transform Awards, an award to recognise brand development work around the world. It is open to anyone involved in brand identity design, including both stand-alone and in-house agencies. The deadline to enter is set for December 16. Although it is fast approaching, there's still time for you get your bid in order. The Transform website contains all the information you need and the entry form. France Loisirs is a major French book club, founded in 1970. Although smaller than it used to be, it still commands about 2 million members who are serviced through a network of shops or by mail. Recently, France Loisirs adopted a new visual identity, created by brand design agency CBA. The new identity supports an expanded offering that also includes wellbeing products alongside books. CBA also designed a new retail setting. Brickman and ValleyCrest are two American landscape maintenance companies in the process of merging. Last week, they announced that the future name of the combined company would be BrightView. The brand strategy and visual identity was developed by Lippincott. The new name keeps the initials of the merging companies (B and V), which are also present in abstracted form in the new tree symbol. V8 Supercars is Australia's leading car racing competition and one of the most watched sports in the country. Last week, it unveiled a new visual identity, developed by Sydney-based Hulsbosch. Extensive research was performed to find a visual expression and strategy that would allow the sport to grow. Hulsbosch developed an iconic symbol that can stand on its own, representing the energy of the sport in the form of the stylised initials SC. 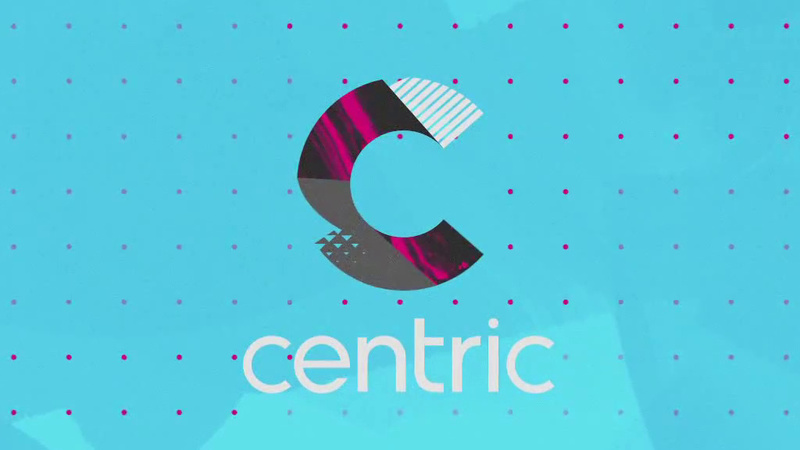 Centric is an American cable TV channel. Originally launched as a jazz channel spun off from BET, it was relaunched as Centric in 2009 as a channel aimed at a slightly older African-American audience. Nowadays, it targets a largely female audience and over the weekend it launched a new look to emphasize this. The channel is now branded as "the first network designed for black women", to clarify its position in competition from other networks who are also targeting this group. The new logo is flexible and can include moving parts. The graphics package greyscale footage in a colour scheme based on magenta and cyan. Discovery Home & Health is a Latin American lifestyle TV channel. Owned by Discovery Communications, it mostly targets women with programmes about health, decorating and cooking. Earlier this year, it launched a new graphics package, created by Argentinian agency Lumbre. The brief was to give the channel a look that was both accessible and aspirational. This was achieved by using bright colours, textures and patterns to frame photos and humorous video elements. The lemon-lime soda brand 7up is in the unfortunate position where it is owned by different companies in different countries. In its home market, the United States, it is owned by the Dr Pepper Snapple Group, while the "international" rights belong to PepsiCo. In the US, PepsiCo tries to market Sierra Mist in its place. That spells trouble for global brand development with different looks depending on where you are. This month, PepsiCo unveiled a new visual identity and label design for 7up which is due to be rolled out around the world (except the US) over time. The previous look launched in late 2010 with a straight forward geometric motif that was a brake with previous designs. The new logo traces back to 7up's heritage with a slightly retro design featuring more irregular curves. According the SVP Kristin Patrick, "7up believes that everyone is naturally unique and original", and a press release says the campaign and design "builds on brand's authentic equity and history, while staying true to its witty, naturally confident character". Australian lottery and betting company Tatts Group unveiled a new brand for its betting services today. Currently known as TattsBet, they are about to be rebranded under the new name "Ubet". The brand identtiy was developed by Sydney-based design agency Hulsbosch, who also created a new corporate identity for Tatts Group a few months ago. The rebrand was preceded by months of research both internationally and internally to determine that the company needed a new identity. The name "Ubet" is described as both a colloquial Australian term as well as active and affirmative. The logo features a "flash" device that makes it distinctive and captures the essence of the brand. Here's the much-awaited logo round-up for October 2014, a month that brought about several interesting logo changes around the world. These included the Nasdaq, cartoon channel Boomerang, Portuguese web portal Sapo, Queensland in Australia, the Russia 2018 World Cup and Hong Kong airline Cathay Pacific. Digi is Romania's leading satellite TV platform. Like many other in the industry, it has expanded over the years to offer new services. Last month, it launched a new catch-up service called Digi Play. London-based agency Kemistry has been Digi's design partner for several years and also developed the logo and interface for Digi Play. Newton Media is a Czech company that offers media monitoring, press digests and analysis, describing itself as the leader in that field in Central Europe. Last month, the company launched a dynamic visual identity, created by Dynamo Branding & design. The company has traditionally covered print media, but is expanding its coverage. This was the impetus for the redesign. The new logo features a dynamic symbol made up of four overlayed coloured shapes, representing the company four main products - monitoring, analysis, recommendation and implementation. It comes in different formations that represent the complexity of the products. Rawnet is a digital agency based in the small town of Ascot, Berkshire, England. Yesterday, November 17, it launched a new visual identity along with a redesigned website. The new identity was developed with strategic brand and communications specialist Brilliant Path. Based on the "belief that clients are more important than an agency's name", the new logo is only made up of two symbols as a distillation of the agency. The zig-zag stands for "technology, conversion rates and user engagement" while the heart signfies the agency's investment in people. Mariestads is one of Sweden's oldest beer brands, dating back to a brewery founded in 1848. Earlier this year, it adopted new packaging and an updated identity, designed by Swedish agency Neumeister with custom logo typography by Rob Clarke. All aspects of the brand were designed to highlight the heritage and history of this premium beer brand. Viaplay is a subscription video on-demand service in the Nordic countries. Operating on a model similar to Netflix, it offers a library of movies and series from several well-known providers. Last week, it introduced a new visual identity along with a new ad concept. The new identity is launched with the tagline "Everyone Happy". It is friendlier than its predecessor, reflecting Viaplay's extended family offerings and the fact that streaming video has become increasingly mainstream. The basic icon is kept to mark the origin of the service, while colours and typography are updated to "reflect a new era of digital entertainment with availability, playfulness and warmth". 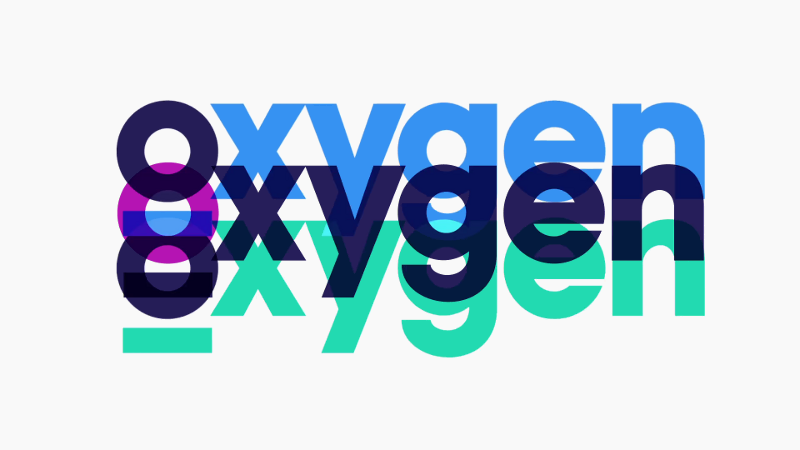 Back in July, we learned that US women's channel Oxygen was about to introduce a new logo. It launched a month ago along with a new graphics package. Both were designed by New York design agency Eyeball in collaboration with Oxygen. Oxygen targets a somewhat younger multicultural female audience with programming featuring authentic characters. The idea behind the rebrand was to communicate this authenticity, which is summed up in the tagline "very real". Eyeball created an entire brand identity system which included on-air graphics and print and digital applications. The underscore from the logo serves as a recurring graphic element used with a bright colour palette and straight-forward typography. All graphics are two-dimensional and dynamically animated to set a conversational tone. Verifone is an American company that provides electronic payment systems. Last week, it introduced a new visual identity, developed by New York ad agency DeSantis Breindel. The new identity reflects Verifone's role in a world where the nature of electronic payments is changing. According to DeSantis Breindel, the brand "embodies a forward momentum, while projecting a confident, yet approachable tone" which is reflected in the logo. TruTV is an American cable TV channnel, originally known as Court TV and dedicated to court proceedings. Over time, the channel has switched over to a format based on reality shows. 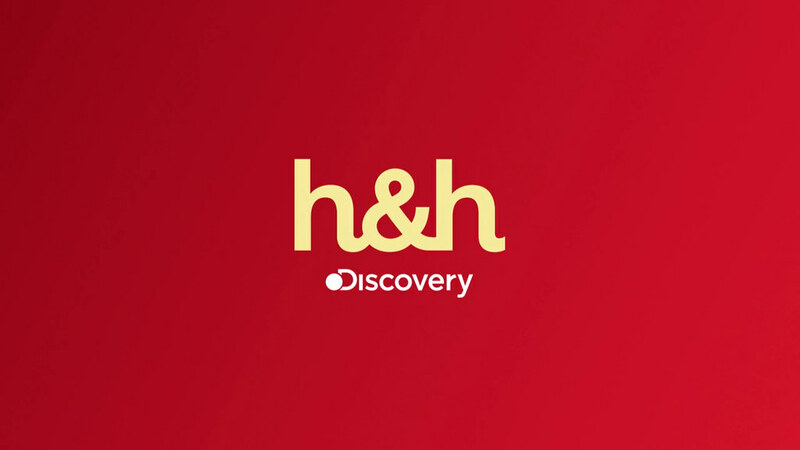 Back in July, the channel revealed a slightly altered logo when it announced that it was about to tweak its format by introducing new programmes. The logo, and the new programmes, launched last month, on October 27. The visual identity was developed by New York-based brand design agency Loyalkaspar. Unlike other reality programming, which is conflict-driven, "the new truTV" is "devoted to fun". This was summed up in the new slogan, "Way more fun". In the slightly altered logo, the word TV has been elevated because "TV is an amazing place to be". More importantly, the 'TV' part can also be removed to instead include different icons in imaginative ways. Mun2 is an American cable TV channel with English language programming for a younger Hispanic audience. It is sort of a sister network of Spanish language network Telemundo, and both are ultimately owned by Comcast/NBCUniversal. This week, NBCUniversal announced that the channel would be renamed NBC Universo on February 1, 2015. Programming-wise, a press release suggests NBC Universo will carry much of the same programming as Mun2, but with more premium sports. NBCUniversal wants to leverage the rebranded channel with the NBC name and iconic peacock symbol. The logo above, which is described as "bold", came with the announcement. While you can perhaps understand the desire to use the NBC brand, the design execution is a bit dodgy. 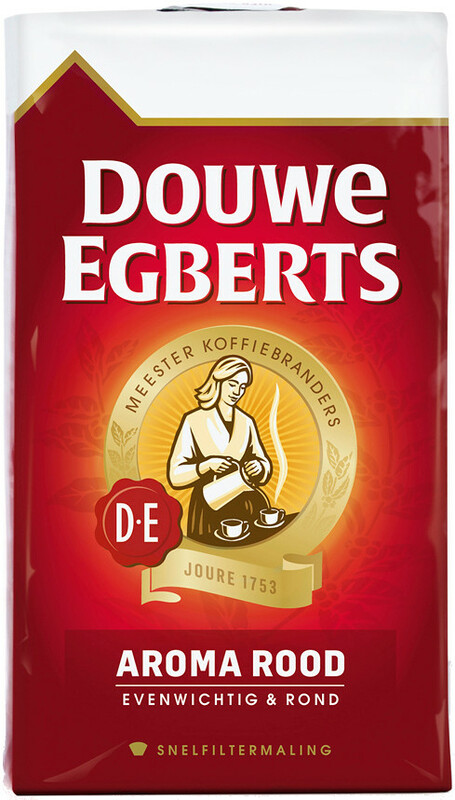 Douwe Egberts the leading coffee brand in the Netherlands, owned by DE Master Blenders 1753 which was spun off from the Sara Lee Corporation a few years ago. DE's design partner is Design Bridge who recently created new packaging to relaunch the brand in the Netherlands. Design Bridge were tasked with bringing back lost brand equity. The redesign reverses significant changes that were made to the packaging some years ago, bringing back prominent features including the typography used in the wordmark. The "Frisian Lady" that has long been used as a seal for Douwe Egberts is given a more prominent placement at the centre of the package. The Hong Kong Aircraft Engineering Company, or HAECO, is one of the world's leading aircraft maintenance companies. Last month, on October 22, it unveiled a new visual identity. The new symbol is a combination of a tick mark and a tailfin, reflecting both diligent maintenance and the spirit of aviation. The new identity replaces various sub-brands to create a unified name. The Chartered Institute of Marketing is a UK professional organisation for people who work in marketing. Last week they unveiled a new visual identity. A detailed blog post suggests it was developed in-house over a period spanning one year. Staying true to the institute's professional values, the redesign was preceded by months of in-depth research. Still, the problems identified with the old logo were largely functional. It was hard to make out the initials, the crest had an odd placement and the application was inconsistent. CIM set out create a new identity that was up-to-date and with its values and worked in a digital environment. The crest was simplified and a new colour palette of royal blue, aqua and silver was adopted. The new logo uses in-line typography as a metaphor for collaboration. The crest, the logo and a wordmark with the full name can be combined as needed. The Arizona state lottery introduced a new logo last week. It was designed by local ad agency LaneTerralever and will be rolled out over the coming year. Arizona Lottery says their new logo is "aimed to excite players now and in the future" and that it conveys the "fun, unexpected, and entertaining nature" of its games. It replaces a previous designed based on the Arizona state flag. The outsiders, the new logo may appear a bit generic when compared to its slightly more awesome "wild west" predecessor. But given that much of that awesomeness was borrowed the state flag, the impact was perhaps a bit diluted in Arizona. JDA Software is an American software company that provides planning and management solutions for businesses, including retail and manufacturing. This week, on October 28, the company launched a new visual identity, developed by Lippincott in New York. The new tagline "plan to deliver" sums up JDA's mission to provide software solutions that help its costumers succeed. JDA works business-to-business and the new logo and its applications are therefore straightforward and business-oriented. France is a popular destination for camping and the leading provider of camping suites is Vacalians Group, formed in 2012 through a merger. It does not only claim to be a leader in France, but the leader in Europe. In October, the company announced that it would launch a new brand to replace its existing consumer brands Vacances directes and Village Center. The camping sites will now be marketed under the name Tohapi, and the visual identity was developed by Royalties. The aim of the new Tohapi brand is to "support the desires of its guests, anticipate their needs and offer them the best of the camping spirit". Royalties' execution makes great use of the signature orange colour and the elongated letter O in the logo. It comes with various applications and a set of icons. This classic logo for the New York Life Insurance Company was introduced fifty years ago this year. During those fifty years, New York Life has continued to grow to become one of leading life insurers in the world, but they kept the logo virtually unchanged. It was introduced in the autumn of 1964 and was commissioned from Lippincott & Margulies, the still-active New York branding firm now known as Lippincott. The actual logo was designed by Raphael Boguslav (1929-2010) who was employed at L&M at the time and created several other classic marks. At first glance, it may seem a bit un-assuming, just three words stacked in a square. At the time, that solution was a bit more unusual. Before this symbol was adopted, New York Life had used an oval badge with the initials NYLIC (introduced in 1954), and before that they used an engraving of an eagle feeding its offspring. The Nylic badge had several problems, foremost among them was that it was not recognised outside the company. The fact that it was far from uniformly applied added to this problem. L&M recommended that the company switch from the unclear Nylic moniker to the more natural sounding New York Life. The typography was inspired by Roman lettering, bringing a classic sensibility. A launch campaign and consistent application ensured that it became well established among both agents and the public at large. Elisa is a major telecommunications company in Finland, offering both landline broadband Internet and mobile services. Yesterday, October 15, the company launched a new visual identity, developed by Swedish branding agency Grow. The rebrand unites a bunch of product names that will live on a sub-brands under the corporate name. The unified identity should project an image of a more fluid and agile company. The friendly script logo is supported by a splash figure made up of constantly changing fluid shapes. This September, usually one of the busiest months of the year when it comes to rebrands, didn't disappoint. There were dozens of interesting new projects launched around the world, including a new look for Southwest Airlines, a new name for Belgium's phone company, a national export brand for Turkey and several others. Ubeeqo is a French company that provides corporate car-sharing solutions, describing itself as a national leader in that field. It was known as Carbox until earlier this year when it adopted a new brand identity, developed by French agency Brand Brothers. The agency worked on everything from naming to visual identity, applications and icons. The new look should convey easy travelling and consistency. BBC First is a new premium TV channel from the BBC, first launched in Australia back in August. The channel features the best of BBC drama and the intention is to have it rolled out globally over time. The brand identity for the channel was developed by New York-based Trollbäck + Company, who are also working with the BBC on the launches of two further channel brands, BBC Earth and BBC Brit. The BBC First brand is set in "an emotionally heightened world where nothing is just black and white, but supercharged with fine nuances and incredible plot twists". The idents convey different emotive vibes and moods through footage shot on film using a special camera set-up that has been double-exposed and projected. The idents and a press release can be seen below. Boomerang is an International cable network dedicated to classic American cartoons from the likes of Warner Bros. and Hanna-Barbera. It was launched in the United States in 2000 as a spin-off from Cartoon Network and has since been rolled out worldwide. Yesterday, October 14, Boomerang announced that it would launch a new logo internationally. The new logo is part of an international relaunch as a "global all-animation, youth-targeted network, repositioned with a line-up of timeless and contemporary cartoons programmed for family co-viewing". The new logo is clearly more linked to Cartoon Network, clearly positioning it as a sister channel. Sapo is a Portuguese company that is both an internet service provider and the owner of several web portals through which it collects a large amount of Portugal's internet traffic. It was founded in 1995 essentially as Portugal's equivalent of America Online. The name is originally an acronym, but also happens to mean toad in Portuguese, so the company logo has always been a toad. This month the are introducing a redesigned version of that toad. Sapo say they are "betting on credibility, creativity, innovation, technology and proximity" and that their logo is "modern, technological, innovative and disruptive". It also comes with a new set of colours and icons. Air Canada is the largest airline in Canada, founded in 1937 as Trans-Canada Air Lines (TCA), a name it kept using until about fifty years ago when the current name was adopted. Air Canada was originally the French name for the airline, used in conjunction with the TCA moniker for several years until the latter was dropped in 1964, legally changing the airline's name on January 1, 1965. Part of that transformation was the development of a new corporate identity, revealed to the public in October 1964. Air Canada contracted Stewart Morrison Roberts (later known as Stewart & Morrison), one of Canada's leading brand consultants at the time. They developed a modern identity draped in the national colours, red and white. The logo is a new take on the encircled maple leaf and was designed by Hans Kleefeld, a German-born graphic designer who was creative director at SMR at the time. They naturally decided to keep the maple leaf, but stylised it and added a broken circle that starts at its stem. The lettering was designed to be uncluttered. The television institution that is the American sketch comedy show Saturday Night Live entered its 40th season last month. 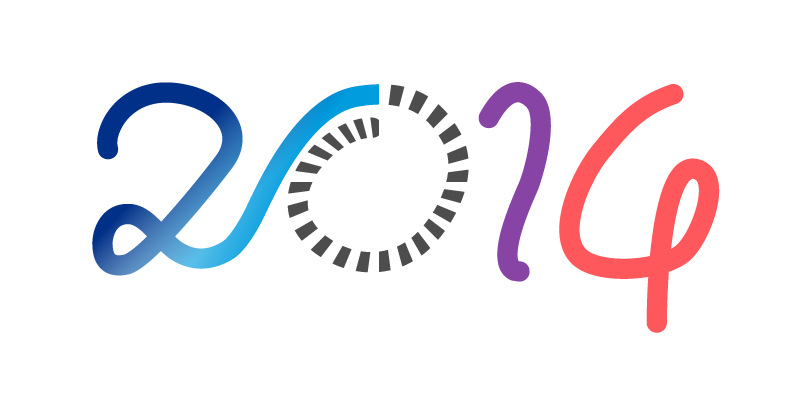 To celebrate, it adopted a new intro and logo, created by a team at Pentagram lead by Emily Oberman. Pentagram and Oberman have been the go-to people for NBC's late night offerings for several years now, giving them a sophisticated and contemporary New York look. They were also behind several previous SNL intros. After several years with the ultra boldness of Gotham Ultra Bold, the show has switched for a flexible logo where the words in the logo and the "40" tag can be combined in different ways. On screen, it is frequently abbreviated to read "SNL40", with spaces left where the rest if the words would be. The typeface is called Druk. The new title sequence takes its inspiration from old taping technology, utilising a "ghosting" effect that was a common artefact when bright lights recorded on tape. Images of New York buildings have been added, but otherwise the opening follows the established theme, with the exception of show announcer Don Pardo who passed away shortly before the new season was about to start. Mitel is a Canadian tech company, specialised in business communications solutions. Last week, the company introduced a new visual identity. Mitel has bought several companies recently, including competitor Aastra, and the introduction of the new logo will see the Mitel name adopted for these acquisitions. The old Mitel logo dated back to the 70s. Nasdaq is one of the largest stock exchanges in the United States. As you already know, the name is an acronym that reads National Association of Securities Dealers Automated Quotations. In 2007, its parent company merged with Nordic stock exchange company OMX to became Nasdaq OMX. At the beginning of this month, Nasdaq rolled out a new visual identity. The rebranding sheds the OMX tag and the company is now known simply as Nasdaq once again. A new tagline has been introduced, "Ignite you ambition", sending the message that Nasdaq is there to help companies and investors in their ambitions. The metallic ribbon symbol also exists in a flat version that can be seen on Nasdaq's website. Neopost is a French company that provides mailroom equipment, holding a leading position in this market. This week, on September 30, it introduced a new logo which is scheduled for launch in February 1, 2015. Just like its predecessor, the new logo is a stylised N. This one has been designed to look like an envelope. The company says its new look will be "lively, bright, dynamic and optimistic" and that it reflects changes and diversification within the company. Modern Times Group, or MTG, is a media company in Scandinavia and Eastern Europe, mainly concerned with broadcasting, including the Viasat platform and TV3 channels in Scandinavia and the Baltics. As MTG prepares to become a more visible as a brand, it revealed a new company logo on September 30. The logo was designed by Swedish agency BVD, while London-based Radley Yeldar worked on the brand platform. The previous logo had been used since the company was formed in 1995. The new one should reportedly convey clarity, self confidence and a twinkle in the eye (which the slanted G represents). Update October 16: BVD have now published their case study for this project, more images added at the bottom of this post. Saelen/TS Industrie is a French manufacturer of woodchippers based in Lille. Founded in 1880, it is now one of Europe's largest producers of woodchippers. French agency Brand Brothers recently created a new visual identity for the company. The logo-type uses custom lettering and is part of a cohesive identity that also include guidelines and applications. Belgacom is the incumbent telco in Belgium. For about two decades, Belgacom has operated its mobile phone service under the name Proximus, which is Latin for close. As landline and mobile offerings have converged it made increasingly less sense to use separate brands for them, so last week Belgacom announced that they would only use the name Proximus when targeting consumers. With this came a new look for the Proximus brand. According to the company CEO, the new logo expresses Proximus' "wish to be as close to our customers as possible". Update October 2: The new look was designed by Saffron Brand Consultants. More pictures added below. TVGN, until recently known as the TV Guide Network, is an American television channel owned by CBS and Lionsgate that used to be dedicated to tell what was on other channels. As that functionality was increasingly replaced by other media, the network changed its direction to become a general entertainment network featuring reality fare. Last week TVGN announced that it would change its name to Pop. Pop will be "a multi-platform destination dedicated to celebrating the fun of being a fan", which means a lot of its programming will be dedicated to fandom of different pop culture phenomena. Hovione is a Portuguese pharmaceutical company. It was founded in Lisbon in 1959 and has since expanded around the world. This month, they introduced a new visual identity, created by London-based Together Design. When creating the logo, Together sought to preserve Hovione's heritage by keeping a recognisable hexagon shape, but moving it forward with an approachable sans serif and stronger red colour. Inside the hexagon are two stylised capsules, with the letter H preserved in the space between them. Gulpener is a Dutch brewery founded in 1825 that makes an assortment of different beers. This month it introduced a new visual identity and new labels, created by Utrecht-based agency Brand Republic. The agency sought to create a design that goes back to the essential with a focus on the authentic and simple, not the hip. The 'GB' monogram brings back an element that was discarded several years ago. To put emphasis on the fact that Gulpener is independent of mayor brewery companies it has adopted the slogan De Vrije Brouwer ("The Free Brewery"). BOB is a classic Swedish brand for jams, marmalades and drinks that was first introduced in 1948. It has recently started introducing new packaging and a new logo, created by Stockholm-based design agency Silver. The previous red circle logo was given two green leaves to make it look like a berry. It maintains BOB's heritage by keeping the red colour and the round shape. A much talked about symbol for the Herhey Company and a refreshed Volvo emblem probably qualify and as the highest-profile logo changes in August. Still, what tends to be a slow month did present several interesting projects.